The 17th annual Electronic Entertainment Expo kicks off next week in Los Angeles, and PCWorld editors will be scouring the show floor all week in search of the most interesting gaming hardware and software. We learned a lot from our time at E3 2011, but it’s still tough to predict what the big news will be at E3 this year. Some of PCWorld’s most passionate gamers took time to share their opinions on what to expect from E3 2012; read on for their thoughts, share your own in the comments, and bookmark PCWorld’s Game On blog to stay on top of our E3 2012 coverage. Alex Wawro covers games, how-tos, and security for PCWorld. What to Expect: It will be a quiet E3 this year, if you’re hoping for surprise announcements about the next generation of gaming consoles. I predict that we won’t see any new hardware from Microsoft or Sony; at best, we’ll get sizzle reels during their respective press conferences that tease us with the features and specs of a new Xbox or PlayStation in 2013. Given the success of Microsoft’s subscription-subsidized $99 Xbox 360, it’s not crazy to think that Sony may release a budget version of the PS3 this holiday season that costs less than $100 and requires a multiyear subscription to the PlayStation Plus program. I bet we’ll get confirmation of Nintendo’s plans to release the Wii U console this year, plus a firm commitment on the games that will be available at launch; after spending some time playing the Wii U at E3 last year, however, I’m not terribly excited about the device. Also, there’s absolutely zero chance that Apple will ever release a home gaming console. Stop asking. What I Want to See: I'm hoping for something wonderful and unexpected. We know that E3 2012 will be dominated by established game franchises; whether you’re interested in Assassin’s Creed, Halo, or Madden, you’re guaranteed to hear plenty of details coming out of Los Angeles next week about the latest installment in your favorite franchise. What I want, though, is something out of left field, a surprise announcement akin to the revelation that Nintendo’s next console will include an idiosyncratic tablet controller. It could even be something as simple as a fantastic new game that lets me explore a fresh world in a completely unexpected way; the motion-control capabilities of current-gen technology such as the PlayStation Move controller or the PlayStation Vita would be perfect for such a game, and I really hope we see something this year that nobody could predict. In fact, I’d really like to see something wonderful from Sony this year. I thought Sony put on a fantastic show at E3 last year, but the PlayStation Vita has had a rough launch worldwide. I love the device, and I hope Sony shows us something next week that makes PlayStation Vita owners happy. What I Don’t Want to See: I'm tired of games that require you to kill people. It’s boring, and almost everyone is doing it. In modern games, it’s pretty much impossible to play through without being asked to obliterate someone or some thing by shooting/stabbing/smashing it on the head, so a game like Fez is a breath of fresh air. Although I certainly won’t get through E3 2012 without having to shoot someone in a video game (Halo 4, Black Ops 2, and Borderlands 2 will make sure of that), it would be nice to see some big-budget titles that challenge players to accomplish something more cerebral than blasting through wave after wave of seemingly suicidal enemies. Let's hope that I’ll get some hands-on time with SimCity and The Last Guardian to soothe my shattered psyche. David Daw is a freelance writer who covers games and technology for PCWorld. You can find his work on our Game On blog. What to Expect: For console gaming, this E3 almost seems like a repeat of last year's show. Nintendo will be busy hyping the Wii U. Microsoft and Sony have a small chance of announcing their next consoles, but more likely they'll just make the case for why their aging machines still have plenty of life left. When it comes to gaming hardware, all the excitement is bound to be focused on the portable gear. Both the Nintendo 3DS and the PlayStation Vita have had exciting but somewhat rocky years, and Nintendo and Sony will probably announce new software and possibly even new hardware to try to stabilize their mobile lineups. PC gaming will be a little more lively this year, with the rise of indie gaming and the free-to-play model breathing new life and creativity into the scene. Expect a lot more oddball PC titles in addition to the big marquee games this year. What I Want to See: It's high time that we started putting this generation's gaming peripherals to good use. We have the Kinect, the Wii, and the PlayStation Move all promising new ways to game, yet almost no titles deliver on that promise. While we all wait for the changing of the guard, I want to play Kinect games that are as good as the tech demos made by people playing around in their garage. I want a reason to use a PlayStation Move with an actual PlayStation, instead of hooking it up to my Mac to play Johann Sebastian Joust. I want us to do motion gaming right before we move on to the next thing. What I Don't Want to See: I'm not looking forward to another year of interchangeable game clones that slap a new setting on whatever the genre of the moment is. It already seems like this is the year of the cheap Assassin's Creed knockoff: Everybody and their brother appears to be hyping a stealth action game in a future/alternate past/fantasy setting--and I hope we don't see a ton more on the show floor, since the Assassin's Creed franchise is already churning out enough cheap knockoffs of itself. Armando Rodriguez covers mobile software and Android developments; he also loves every genre of games, save flight simulators. What to Expect: We'll get lots of software, and very little hardware. 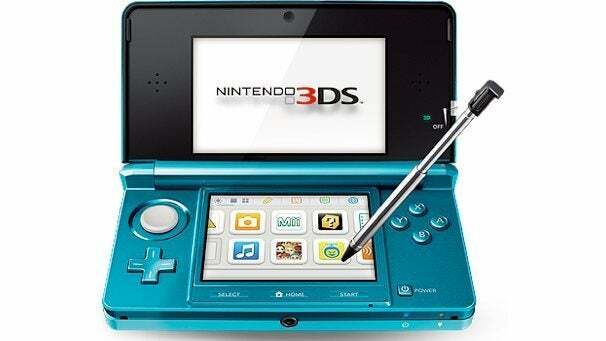 Outside of the Wii U, I don't think any of the big guys are releasing new hardware this year. You can expect to hear more about Grand Theft Auto V, Call Of Duty: Black Ops 2, and Halo 4 (don't you just love sequels? ), but I wouldn't hold my breath waiting for Microsoft or Sony to announce the Xbox 720 or PlayStation 4 at the show. As for what kinds of software will be on display at E3, my sources tell me that apps will be bigger this year than they were before, and that pretty much every major studio will have an app or two they'll want to show off. Considering the types of games I've seen EA and Ubisoft release on iOS and Android, I can say that they probably won't require you to fling birds at pigs or farm crops with your friends. What I Want to See: Asking a gamer what they want out of E3 is like asking someone what they'd do with unlimited wishes. First of all, I want more big-name games to be announced for the PlayStation Vita. I got tired of playing nothing but Ultimate Marvel vs. Capcom 3 on the thing, and Super Stardust Delta is starting to lose its appeal. The Vita is a great handheld, but it really needs more games. The console may not be selling all that well (probably owing to how expensive its memory cards are, among other factors), so I'm hoping Sony will announce several big Vita games to keep interest in the device going. A Ratchet and Clank game for the Vita that doesn't use gimmicky touch or motion controls? I'd buy that on day one. On the Nintendo side of things, I just want a solid release date for the Wii U, as well as a list of confirmed launch titles. I was one of those people who waited 12 hours in line to get the original Wii back in 2006, so I want to know when to go and queue up outside of my favorite electronics store. I personally love Nintendo's 3DS, so I'm holding out hope that we'll finally get a portable version of Super Smash Bros. announced at this year's E3. Oh, and Half-Life 3, but only because I feel like I'm required to say that. What I Don't Want to See: I really, really don't want to see a Nintendo 3DS redesign, but there's still a chance that we'll hear about a 3DS Lite or something similar in the next few months. I also don't want the rest of 2012 to turn out like 2011, where nearly every other game was a shooter and only one or two titles were released in other genres. Using a grenade launcher to blow up a guy is fun for only so many times before it becomes repetitive. If Rayman Origins has taught us anything, it's that there are plenty of other genres you can make good games in (even if they don't sell particularly well, unfortunately).